Keep all the left over paper, in case of repairs later. Store it in an air conditioned / heated, humidity-free space – NOT the garage or attic. Some papers are more durable and stain-resistant than others. Ask me which type you have chosen, and I will give information specific to your type of paper. However, any wallpaper will be stained by hands or substances over time. So … do NOT touch the wallpaper. When turning on the lights or fan, touch the SWITCH, not the plate / wall. Avoid the use of any aerosol or air-borne substances such as hair spray, glass cleaner, air freshener, etc. Residue can hang in the air and will eventually find its way onto the wallpaper. 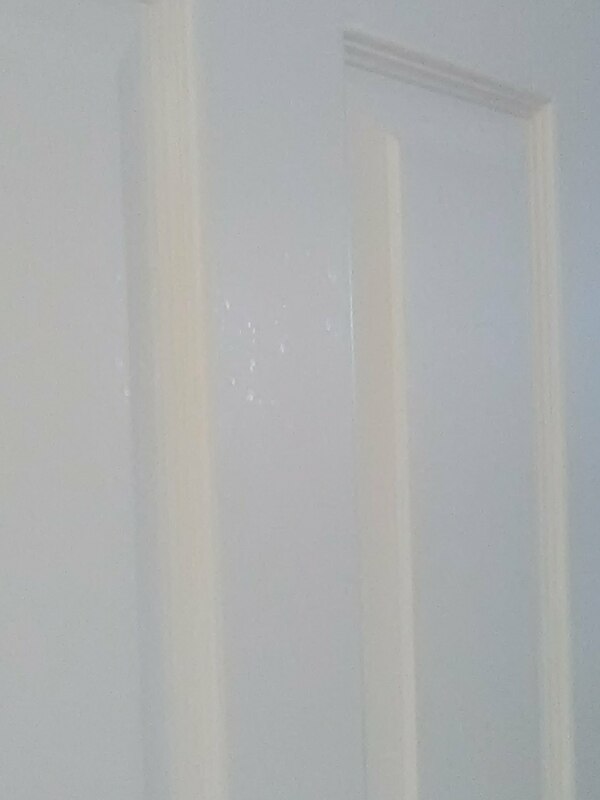 Please see the attached photos, where you can see tan dots all over the wallpaper (top photo) and tiny dots of shiny residue on the middle panel of the door (middle photo), and on the wallpaper. Instead, use a solid air freshener, or the new “Poo-Pouri” type products that are not air-borne. When applying hair spray, step into the shower so any overspray will land on the tile walls, not on the wallpaper. For cleaning the mirror, have the housekeeper spray the Windex on her RAG, not onto the MIRROR –this will prevent overspray from getting onto the wallpaper. When cleaning the backsplash, she should avoid rubbing against the wallpaper, as this could abrade the ink over time. Humidity is the Great Enemy of Wallpaper. Keep air conditioning and heating systems running at all times. Long steamy showers can loosen wallpaper. When showering or bathing, it is imperative to use the exhaust fan. Even better is to leave the door(s) open, so fresh dry air can circulate through the room. If that’s not feasible, then after showering leave the door(s) open wide, to encourage an exchange of dry air through the room. The same applies even in rooms that do not have showers or steamy conditions. And if water pools on the top of the sink, it can wick up under the wallpaper and cause it to curl away from the wall. 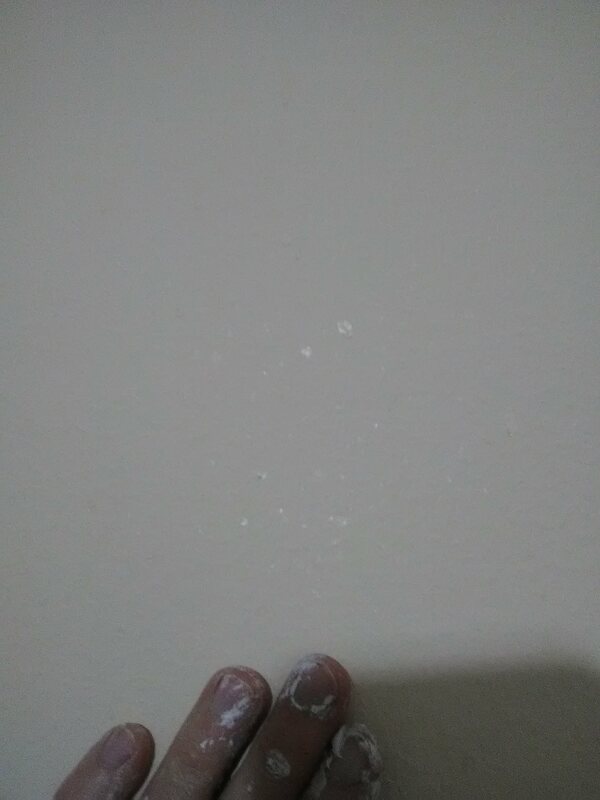 To help prevent this, I usually run a bead of clear caulk along the top of the sink, to keep water away from the cut edge of the wallpaper. I also often run caulk all around the shower – top, sides, and along the baseboard.